A partnership announced Wednesday between Cox Automotive and cloud platform Vinli will give dealers the ability to take used cars without connectivity and make them smart cars. Dealers can use this technology to monitor cars on their lots, sell used vehicles with aftermarket connected car capabilities and communicate with customers on retention programs. Lot Management. Through this feature, dealers have visibility on these newly connected cars on their lot. The mobile-enabled dashboard and geofencing allows them to monitor battery and fuel levels, inventory reconciliation and security. Retail Connectivity. 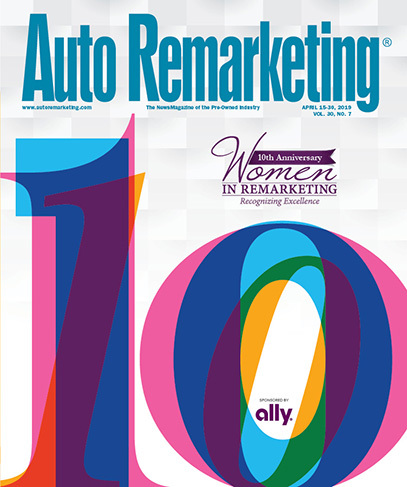 Dealers can offer an aftermarket connectivity package to consumers on any car made post-1996. Customers can download any Vinli car app and access connectivity services like in-car Wi-Fi and various safety services. Retention. This function integrates with Xtime Service Telematics (from Cox Automotive) and automatically communicates with customers regarding vehicle needs after the sale. This would include communications on loyalty discounts for the service shop. “Our partnership with Vinli is an example of how Cox Automotive New Ventures helps accelerate next-generation innovation ventures around the globe,” David Liniado, vice president of New Ventures at Cox Automotive, said in a news release. Cox Automotive, along with other companies, was among the Series A round of investors in Vinli. “The impetus for that investment was we really saw a strategic opportunity for Cox Automotive to weave the connected vehicle data and connected vehicle platform in with the dealer operations, ultimately bringing them efficiencies, profitability and retention,” Liniado said by phone this week. Liniado said Cox Automotive has been building out the solutions set and working with a few dealers on a slow rollout of these services. In early 2017, he said, the company plans a broader rollout. Vinli said it provides an automotive app ecosystem built on a secure and scalable platform. Its hardware solution works with any car built since 1996, which is when the U.S. government updated on-board diagnostic system standards for emissions, inspections, etc. “Every car made after 1996 has that port,” Haidar said by phone this week. “It’s literally under the dash of the car … We leverage that port. We created a device that you plug in to that port, and the moment that you plug it in, it gives you access to Wi-Fi, apps and services. The device, he said, is powered by a cloud computing platform. It gives the vehicle LTE-based Wi-Fi hotspots as well as what Haidar described as an “app store for your car” that includes more than 50 iPhone- and Android-compatible apps that range from safety- or diagnostics-based to entertainment apps. Another piece to it is the services, like accident/crash response or roadside assistance services. The partnership with Cox Automotive is the first time Vinli, which was started nearly three years ago, is being offered through dealerships. As the tech discussions in the auto industry, in general, revolve around the two-pronged evolutionary debate of autonomous driving and car ownership — two issues certainly impacting dealers and automakers — Haidar says there’s a consistent variable to consider: cloud computing.